Only hours after Holmes and Russell return from solving one riddle on the moor, another knocks on their front door.literally. It's a mystery that begins during the Great War, when Gabriel Hughenfort died amidst scandalous rumors that have haunted the family ever since. 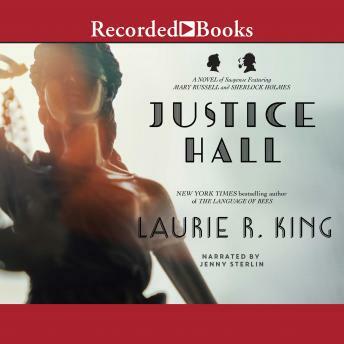 But it's not until Holmes and Russell arrive at Justice Hall, a home of unearthly perfection set in a garden modeled on Paradise, that they fully understand the irony echoed in the family motto, Justicia fortitudo mea est: 'Righteousness is my strength.' A trail of ominous clues leads Holmes and Russell from an English hamlet to fashionable Paris to the wild prairie of the New World. But as the moment of reckoning approaches, will justice be done.or have they been lured straight into an elusive killer's perfectly baited trap?